Six Senses Hotels Resorts Spas is delighted to announce the brand’s long-anticipated debut in the United States with the opening of, Six Senses New York, a luxury hotel being developed by HFZ Capital Group in New York City between Manhattan’s popular High Line and the natural wonder of the Hudson River. The development project by HFZ Capital Group is located on 10th Avenue, the site encompasses the entire block between 17th and 18th streets in the heart of the city’s vibrant and artsy Chelsea neighborhood. 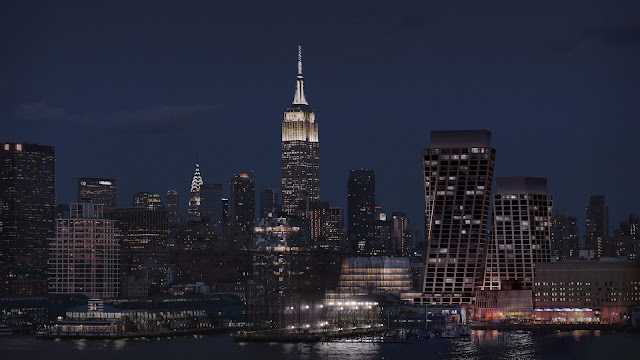 The overall project, named The Eleventh, features two soaring towers designed by award-winning architectural and design group BIG (Bjarke Ingels Group). The towers’ design draws inspiration from New York City’s classic Modernist structures and cultural institutions, while also playfully skewing the traditional skyscraper form with their rotating appearance. The stone and metal facades will add a dynamic yet harmonious twist to a vibrant West Chelsea neighborhood that has become known around the world for its groundbreaking contemporary architecture. The towers are approximately 300 and 400 feet (90 and 120 meters) tall, making them far taller than surrounding buildings and create expansive vistas of the High Line, Hudson River and Downtown and Midtown skylines. This mixed-use development will bring luxury to downtown Manhattan’s West Side with its first five-star hotel, approximately 240 condominium residences and high-end retail shopping. The hotel will be located in the east tower directly adjacent to the High Line with ten floors and 137 keys. A popular New York City landmark, the High Line has helped transform the area into a must-see destination for both locals and tourists. Hotel accommodations will begin at a generous 400 square feet (37 square meters) to enable Six Senses New York to deliver the high level of personal service and lifestyle quality for which the brand is synonymous. Pegasus Capital Advisors L.P., a New York-based private equity fund, acquired Six Senses Hotels Resorts Spas in 2012. Pegasus is partnering with HFZ in the development of the hotel. “We are delighted to join forces with HFZ to make this vision a reality,” said Craig Cogut, chairman and president of Pegasus. A prime project commitment is to the environment and the project is being meticulously planned with the intent to attain LEED (Leadership in Energy and Environmental Design) Certification. Hotel guest rooms will be designed and appointed in compliance with the Six Senses brand’s dedication to sustainability and reverence for the environment. Spas are an integral part of the Six Senses brand. Six Senses Spa New York will offer a layered approach to wellness with treatments that are an intuitive mix of science and human awareness, where a high-tech and high-touch approach defines service that is crafted around the individual. Two restaurants will be located in the hotel and showcase the brand’s popular culinary approach to wellness by serving fresh, seasonal and locally-sourced produce and ingredients. Plans are also underway to create a unique private members club within the hotel and innovative meeting space to cater to small groups and board meetings. 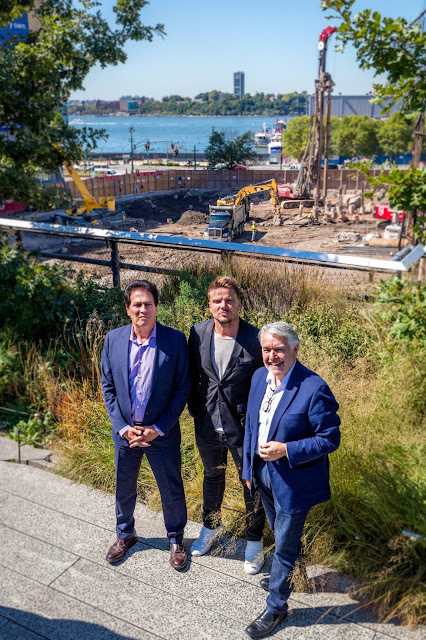 Six Senses New York is slated to open in 2019.